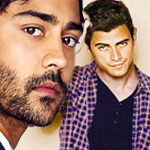 Catch up on the latest interviews between VPToday and the network showrunners and producers! 4 4 The Transformation of "Thoughts Without Thinking"
Brings exclusive news and updates on potential VPN prospects, upcoming pitches, and anything and everything on the rumor mill! 5 5 Jason T. Davis Confirms "Archangel" Reboot! new EXCLUSIVE: AVERY STRANGE ORDERED TO SERIES! new EXCLUSIVE: THREE NEW SHOWS GET THE GREENLIGHT! new EXCLUSIVE: THEVPN ORDERS SCI-FI DRAMA "SYNTHESIS"
new EXCLUSIVE: The VPN Orders "101 Ways To Survive High School"
new EXCLUSIVE: The VPN Picks Up "Audition" Spinoff To Series! new EXCLUSIVE: Paradise Lost Commissioned for Full Series! new The VPN Picks Up Sci-Fi Drama "Reality" From Brady Brown! new EXCLUSIVE: 'The Path Not Taken' Reboot In the Works! new "The Void" Showrunner Steps Down! Series To Be Reworked! new The VPN Picks Up Chris Davis' "Gangland"
new EXCLUSIVE: Trinity Canceled! Rebooted Series In the Works! Check out the latest news on all your favorite shows, brought to you by the network's very own news studio! 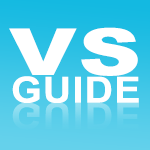 Featuring, 'Developments In-Sites,' a new branch of VSGuide which focuses on VS rumors and future projects!